With its glorious gardens, vineyards and farmer’s markets, Surrey really comes into its own at this time of year. Avoid the summer crowds at these lesser-known beauty spots, shops and cafés. These peaceful woodland gardens (above), laid out by a local Japanese-style nursery in 1890, are only open from early April to late June (this year, they close for the season on June 15), so catch them while you can. 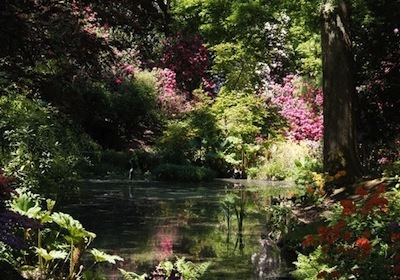 You can admire the 20 acres of rhododendrons, azaleas and camellias, as well as many rare and unusual trees and flowering shrubs, between 10am and 5pm. At this time of year, treats include delicate pink roses, meadow grasses and wild orchids. Surrey foodies have this independent wine merchant and delicatessan on speed-dial. Whether you’re after local charcuterie or the best English sparkling wine, the cheerful staff will go the extra mile to help you. It shares its tucked-away premises with the Cheesebox, which has been keeping locals well-supplied with British cheeses for almost 20 years. 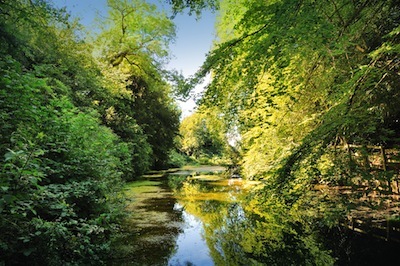 This tranquil pool (above), fed by underground springs, is a wonderful place to while away a sunny afternoon just a couple of miles outside Guildford. Spread out a rug in the shade of the box trees and keep an eye out for kingfishers – if you’re lucky, you might spot one. Nearby Albury Organic Vineyard is flying the flag for Surrey Hills wines. George Frederic Watt’s vast, powerful paintings were the talk of Victorian society. 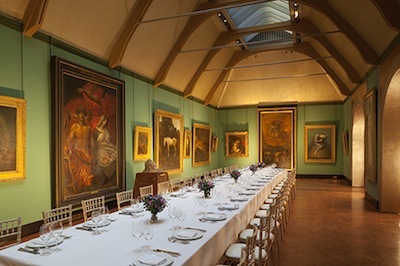 Visitors to Compton can experience them as they were meant to be seen in this extraordinary gallery (above), with its jewel-coloured walls and gold accents. A short stroll away is the Arts-and-Crafts Watts Chapel, created in terracotta by local residents, and boasting rich Art Nouveau and Pre-Raphaelite interiors. You’ll find the best ice cream in Surrey at Loseley Park – the Eton Mess flavour is perfect for a summer afternoon. This pretty tearoom in the courtyard of the 16th century house also serves light meals and cream teas, and is open between May and August (closed Fridays and Saturdays).